March Madness 2016 has begun filling up sports bars, lowering office productivity and bringing basketball and non-basketball fans together through friendly betting. 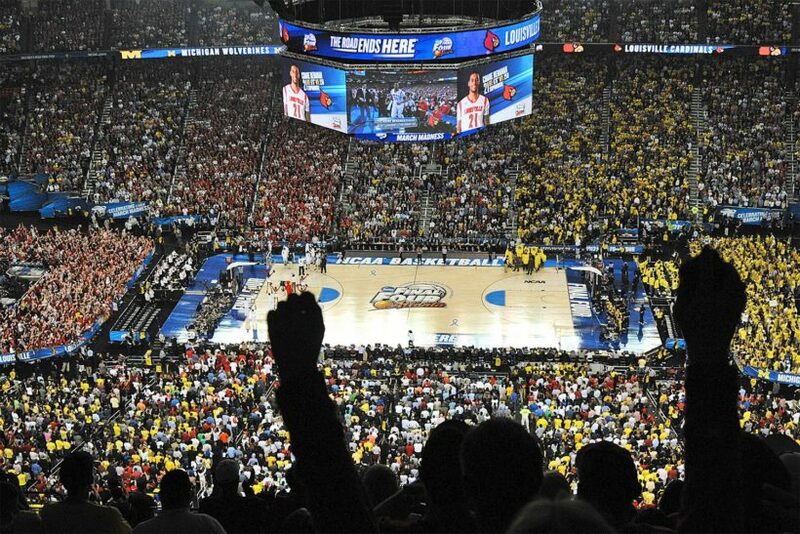 The news media go crazy for “the big event,” devoting huge amounts of time to the annual college basketball tournament. Yet, the far more important matter of the national debt, which topped $19 trillion in 2016, is barely reported. Even though…experts have warned it is a serious threat. Between Jan. 1, 2015, and March 1, 2016, the network evening news shows devoted 18 minutes and 12 seconds to the NCAA basketball tournament. That was more than 5 times as much coverage as they gave the national debt (3 minutes 9 seconds) which grew steadily through 2015, crossing the $19 trillion mark on Feb. 1, 2016. There were plenty of reports about basketball “fever,” which ABC called “the sickness all bosses dread.” But the media talked about brackets, top picks and key players to watch. All three networks brought up President Obama’s brackets, mentioning it in a total of four broadcasts. If only the networks had been as willing to pick apart the national debt, examine its causes and consider solutions. After all, it’s a sure bet that the debt will impact every single American. Instead, the few mentions of the debt were generally political. CBS used it to undermine Republican presidential front-runner Donald Trump’s tax plan while other reports included quotes from politicians mentioning the severity of the debt. In spite of the fact that the debt exceeded $19 trillion for the first time ever last month, none of the network evening shows acknowledged it when it happened. The only mention of it since was an answer Republican presidential candidate Donald Trump gave in a CBS Evening News interview on Feb. 19. The debt has grown to more than $58,000 per person in the U.S. according to Romina Boccia of The Heritage Foundation. Boccia said the growing national debt is due to federal spending, especially entitlement spending for Social Security, Medicare, Medicaid and Obamacare. While basketball is certainly more fun, it’s the duty of the evening news programs to also cover important issues like the national debt — especially during an election cycle. Yet, the meager coverage of the debt was not sufficient for the size of the debt crisis. Although the networks were nearly silent about the debt threat, conservative, libertarian and even liberal groups have warned about the huge consequences for the compounding national debt. Now in 2016, that massive debt has passed $19 trillion, without a peep from reporters on the evening news programs. 1. What types of bias does the excerpt above illustrate? The also argued the resulting “chronic economic decline” hurts American leadership abroad. “Other countries sense our weakness and wonder about our purported decline. If this perception becomes more widespread, and the case that we are in decline becomes more persuasive, countries will begin to take actions that reflect their skepticism about America’s future,” they added.